Back in September of this year, Microsoft announced that it would be teaming up with a bunch of companies that had the skills and the specializations required for their newly announced Virtual Desktop platform at that time. Amongst these companies were important names such as Citrix, Liquidware and even the Atlanta based FSLogix. FSLogix is a company who provides services on an enterprise level to companies in order to reduce labor and hardware required to achieve optimum productivity. Their virtual solutions help them with their mission statement as explained before. While this was one of the companies chosen by Microsoft to partner with back in September, according to a recent blog post release by Microsoft, they have in fact acquired the company, terms of the purchase are not disclosed as of now. As the world heads towards a cloud-based virtualized system, companies like Google and Microsoft, huge software giants spend day in day out working on solutions to capture the market as this whole concept is somewhat still new and the early bird would surely take the worm. 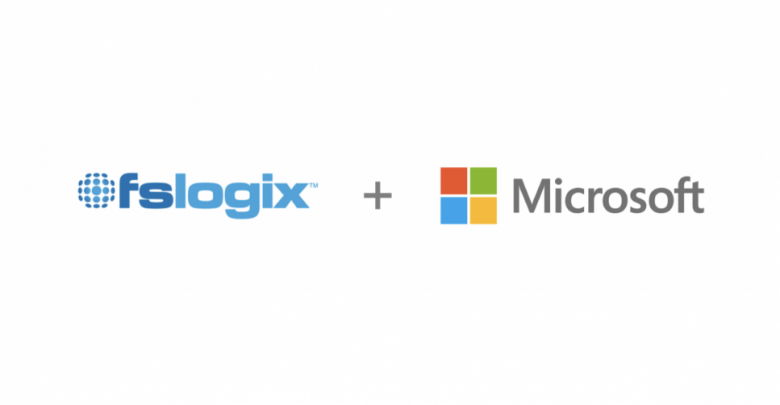 According to Microsoft, in their blog announcement, acquiring FSLogix was an important step and a good one at that. They say it would be good for their Virtual Desktop experience as FSLogix brings better performance and a lot of time-saving to the table: things which are imperative for businesses using the platform. Microsoft aims to incorporate their expertise further in the development of Office 365 ProPlus along with better integration with Microsoft’s Virtual Desktop running on Azure. The optimization brought in that too by the newly acquired company would allow Microsoft to get a superior edge over the competition, making their products, especially Enterprise related ones, market leaders. This would also allow them to better optimize Office 365 and Windows 10 together as they plan to run them on the Virtual Desktop, allowing for an all in one experience for the users. Microsoft claims, with both these running together and FSLogix’s platform on the Virtual Desktop, the functionality, the user experience and not to mention faster loading times would bring forward an excellent platform to work on for the end user. Apart from this, more focus was laid and will be laid on when full-scale development begins on the applications of Office 365 allowing it to be more multi-user friendly.